Glass has gained a prominent position as a building material in architecture and over the years, as building regulations dealing with energy efficiency in buildings became progressively tighter, research and development in the field of high-performance glass have led to characteristics and sizes never seen before. The absolute latest in aesthetics, design, energy efficiency, functionality and construction were on display at the last Glasstec International Trade Fair for Glass – Production, Processing, Products, held in Germany in the last quarter of 2018. Illustrating the enormous diversity of today’s glass processing, on show was glass that is specially cut, curved and bent, glasses that can be dimmed as little or as much as required, and sizes that were unparalleled up to now. Thanks to the development of float-glass processes, it has become possible to produce glass in extra-large sizes, resulting in quite a contest amongst manufacturers. Although only found in selected projects, lengths of up to 18 metres are currently feasible, with one company even producing a length of 20m. However, the manufacturing is only one part. Finishing and logistics are two more factors that need to be considered. It doesn’t matter if one can produce XXL sizes, but it can’t be properly processed from the float-glass bed to installation on site. For example, glass of up to 5m can be bent in a furnace, but cold-bending methods are applied to very large sizes, with a limited bending radius. Also, mounting devices, load-bearing sections and surfaces must be able to bear the enormous weight of the glasses, which can be between two and three tons, while withstanding external elements such as wind. Transportation and installation are additional challenges that pose the risk of breakages. Alongside finishing, logistics and installation is also a focus on edge seals. When it comes to extra-large glass panels, at least one edge is limited in size for the deadweight to increase disproportionately on the narrow side. 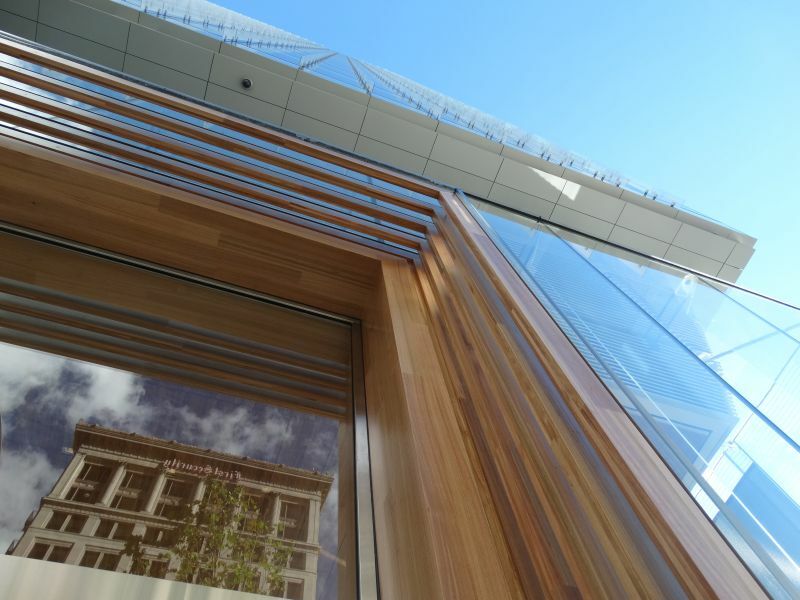 Depending on the mounting of the glass onto the facade, the bond on the edge seal must achieve far more to ensure structural stability and impermeability. Unlike structural stability, the energetic relevance of the edge seal decreases in proportion to the increase in glass size. This is because the thermal bridge impact of the seal is reduced in relation to the surface area ratio. 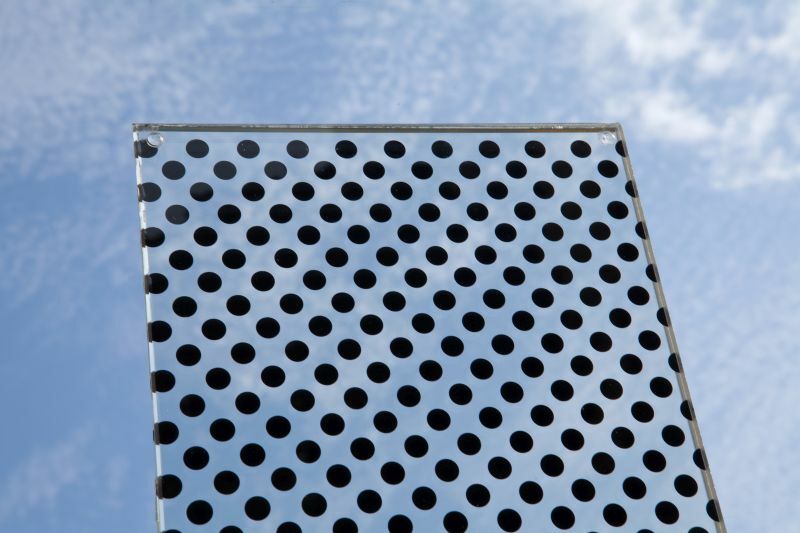 Can glass get more energy-efficient? Over the last 50 years, the glass industry has seen a move from single glazing through the first generation of insulation glass to today’s triple thermal glazing, reducing the U-value from over 5,0W/(m²/K) to 0,7W/(m²/K) – almost one tenth of what it was previously. However, this is probably as good as it can get. Although further improvements in thermal glazing are technically possible, for example quadruple or vacuum glazing, the added effort and cost, as well as functional drawbacks, outweigh the benefits and make it unlikely to gain ground in future. Also related to energy efficiency is the issue of sun protection and shading, because while the heat input can be noticeably reduced through a low emission coating, the glare of sunshine requires some kind of block. 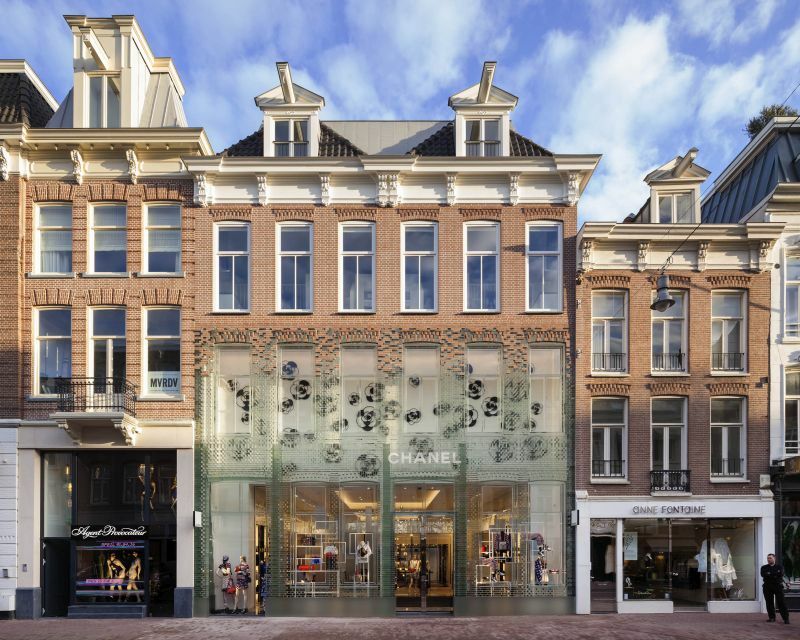 However, aesthetically, it seems largely counterproductive to emphasise the transparency of a building using oversized glass if the windows are hidden behind blinds and other shading measures. Thanks to electrochromic (switchable) glass, this feature can now be addressed by the actual glazing. This smart solution addresses glare, aesthetics and wind load all at the same time, seeing that it negates the need for mechanical components such as external or internal blinds or other shading devices, which are either static or often susceptible to malfunctioning. 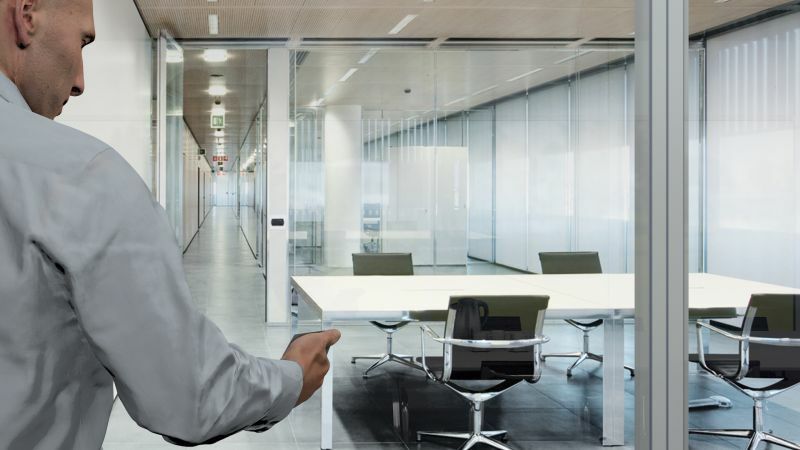 Switchable glass technology allows glass to be dimmed to various degrees, either actively or passively, and the view through the glass is never obstructed in any way, even when it is dimmed. At the moment, the most promising solution is the active electrochromic variety with an internal nanostructured coating. When a low voltage is applied, the glass turns blue, thereby creating the so-called electrochromic effect. Smart glass is already a common feature of smartphones and even luxury cars, but it is still underutilised in architecture and buildings. 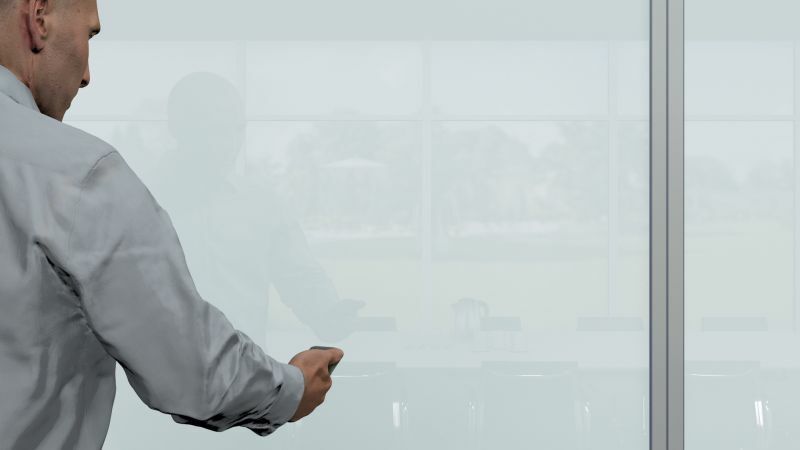 Not only do glazed building facades have the potential to become canvases for news or advertising messaging by projecting moving images, but smart glass can also be applied as security features such as scanners to provide or deny access to people. Then, in office architecture, there is also the functionality of switching glass partition walls from transparent to translucent. Using either wall-mounted switches or remotes, the effect can be repeated any number of times because it is produced by applying an electric current through liquid crystals in a conductive layer of sheets. Taking it a step further, organic light emitting diodes (OLED) technology is making inroads into buildings, creating new design opportunities. As a flat area light source, unlike conventional LEDs, OLEDs emit light across an entire surface. The light produced is comparable to natural skylight, instead of sunlight such as conventional light sources, and it is glare-free. OLEDs measure as little as 0,7 to 1,8mm and since they only reach a temperature of about 30°C, they do not require cooling and are therefore compatible with materials not previously suitable for lighting. What’s more, OLEDs can also be manufactured in 3D. 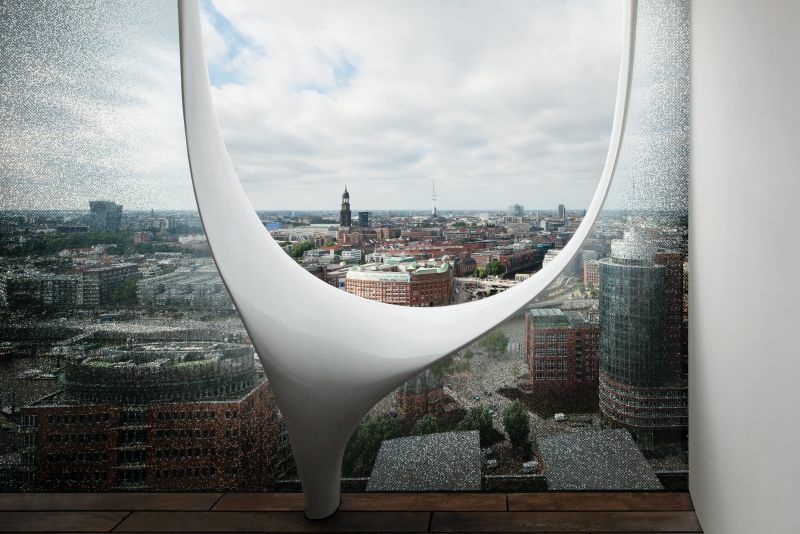 In future, it will be possible to switch on the window panes of office buildings for ambient lighting, or to create all-round illumination in a glass shower. While it was its transparency that laid the foundation for the appeal of glass millennia ago, this material continues to fascinate with its versatile applications. It is true that many of the advances made in glass technology and manufacturing may still be out of reach for many projects, but there is no doubt that the future holds exciting applications for the built environment. Full thanks and acknowledgement are given to Glasstec 2018 and Messe Düsseldorf, for the information and images that were used in this article. 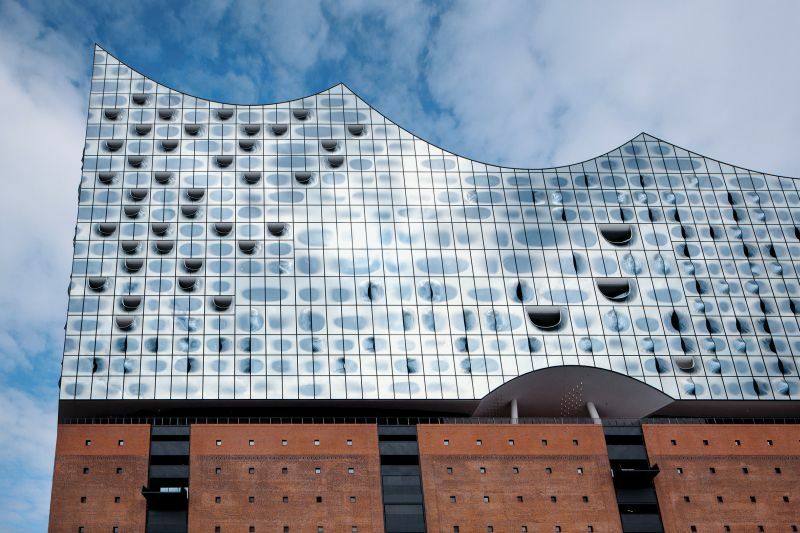 The Elbe Philharmonic Hall in Hamburg has set new standards in many ways. Its unique features are the bent, multiple coated and printed multi-purpose insulating glass sheets that produce special light effects on the building skin. Josef Gartner GmbH, a company of the Permasteelisa Group, clad the buildings with custom-made glass panes over a total area of 16 000m². Interestingly, the multi-functional insulating glass units have been produced with a curvature along just one glass edge. To this end the glass panes were first printed, then coated and finally bent precisely according to specifications at a temperature between 500 and 600°C. About 500 of the approximately 2 200 glass elements are spherically bent. Another 1 700 units were inserted flat, but all elements were made of low-iron oxide glass to ensure particularly clear views. Both element sizes were produced with an outside curvature and with an inside curvature offset by 350mm towards the inside. Oval pivot windows allow the rooms to be naturally ventilated and each pane of the facade features a chrome dot screen print and a second coloured dot screen print. The small reflecting chrome dots vary, thereby making each window element unique. In the area of the two concert rooms, six inside terraces were built. So-called tuning forks made of glass fibre reinforced plastic (5m high and 6,45m wide) accept three spherically bent panes each and open the facade to the gallery located behind it, like an inside balcony. 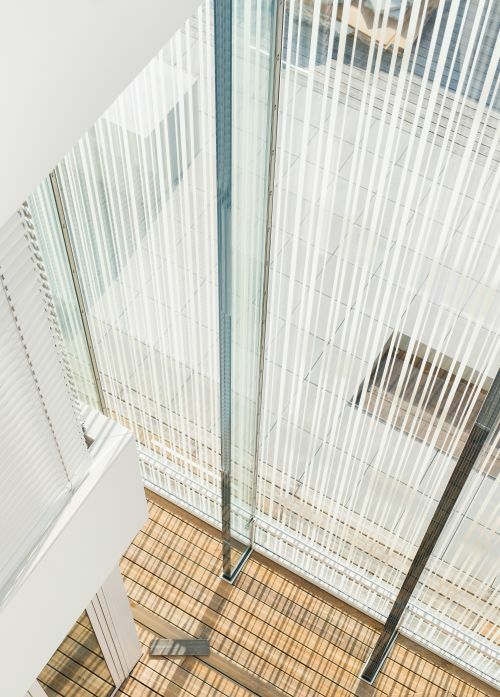 In the flat wing of the building these tuning fork elements are 5m wide and 3,33m high, and accept two spherically bent laminated security glass panes printed with dot screens.